Port Aransas is a city in Nueces County, Texas. Take a break from the city and head to Dolphin & Whale Watching and Fishing Charters & Tours. 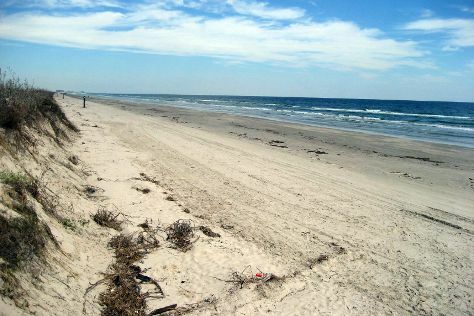 Step off the beaten path and head to Port Aransas Museum and Roberts Point Park. There's much more to do: tour the pleasant surroundings at Port Aransas Beach, identify plant and animal life at Leonabelle Turnbull Birding Center, take in the waterfront activity at Port Aransas Nature Preserve at Charlie's Pasture, and tee off at Palmilla Beach Golf Club. To find more things to do, photos, reviews, and other tourist information, read our Port Aransas journey planner . In June, plan for daily highs up to 87°F, and evening lows to 78°F. Wrap up your sightseeing on the 14th (Fri) early enough to travel back home.